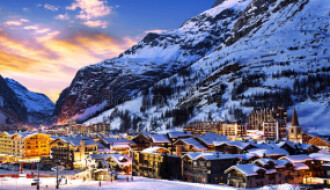 SnowOnly recently spoke to Steve Nicholson, a property owner in the ski resort of La Chapelle d’Abondance in South Eastern France. Steve has given us some great insight for any potential buyers of ski property; an impartial owner’s perspective and experience to give confidence to other potential ski property buyers. SO: Where is your property located, when did you buy it, and can you tell us a little bit about it? SN: The property is in La Chapelle d’Abondance, a small village on the edge of the Portes du Soleil- approx. 1 hour 45 mins from Geneva. We bought it in Sept 2016 after looking in the area for about 18months. 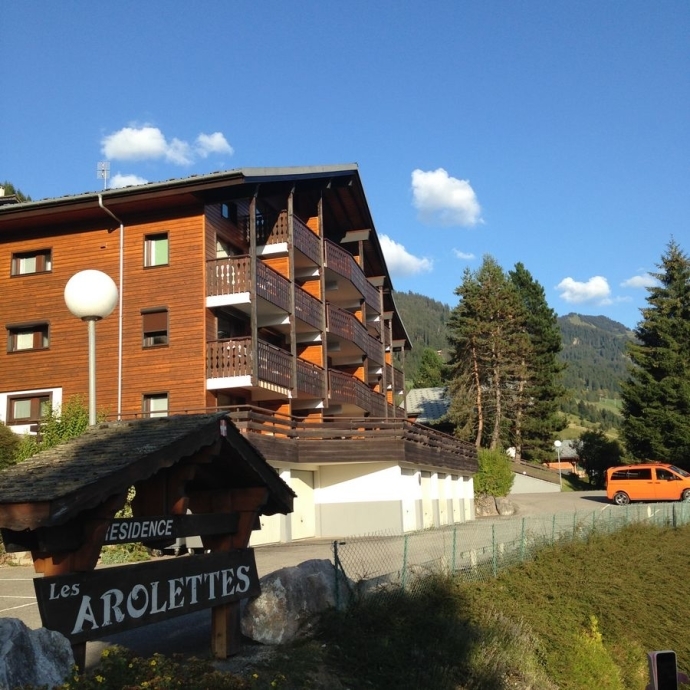 It is a 30m2 one-bedroom apartment with a south facing balcony (22m2) with fantastic views of the local ski slope and mountain. It was in a poor state when we purchased it, we removed the alcove with bunk beds to make better use of the space, replaced the kitchen, bathroom and toilet and redecorated within 12 months. It has a garage and a basement and ample parking. SO: Did you buy the property for investment or lifestyle reasons? SN: Both really, to be honest. SO: If investment, please tell us how you get a return on your investment, and if lifestyle, how do you use it? SN: I don’t rent it out so it’s a long-term property investment. SO: What made you pick the resort your property is in? SN: We had holidayed in the area for 5 years previously, in a catered chalet so we knew we liked the area both in the summer and the winter and we could also see the potential to make some money on a long-term investment. 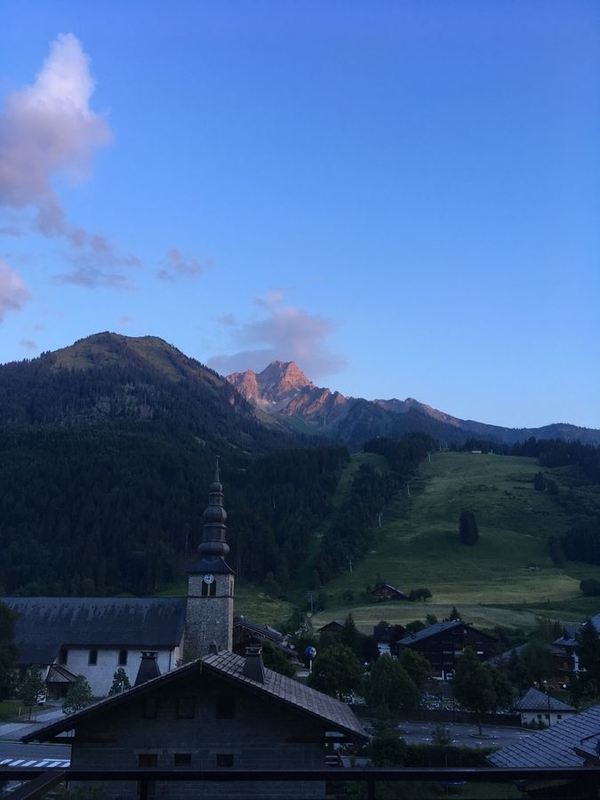 This particular village offered far greater value for money than say 5km up the road in Chatel or indeed the trendier places such as Morzine/Les Gets/Avoriaz. I can however be boarding/mountain biking in Avoriaz 20 mins from my first lift. Location wise, its perfect local piste is 400m away and PDS (Portes du Soleil) is only a few minutes’ drive. It’s great for visiting Lake Geneva in the summer as it’s like the Med. There’s the Montreux Jazz Festival, Lac Montriond for summer paddle boarding, mountain biking, road cycling and hiking. It’s an endlessly fantastic area for outdoor activities. Also, the local Savoie food and wine are amazing too and we have a great selection of restaurants in the village all within walking distance. SO: If you had the chance to do it all again, would you and why? SN: Yes, without a doubt. We will eventually buy a bigger place with more bedrooms, so our family and friends can come and stay. 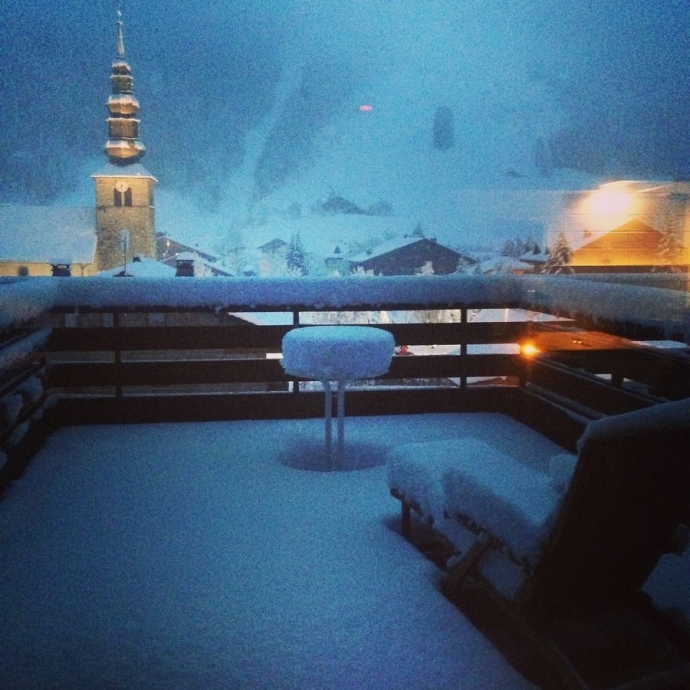 SO: What advice would you give a buyer who is considering buying a ski property? SN: Do your research about the different areas you are considering, and different complexes if looking at apartments as some are better looked after than others. Take the management charge into consideration as some can be quite high. Don’t get sucked into the trendy resorts; an apartment in one resort could buy you a small chalet in a lesser known but equally well-equipped resort. Consider how easy the transfers are if travelling by air. Visit at off-season times of year to get an idea of what the resort is like as some places are like ghost towns in between seasons. Be prepared to collate a lot of info for your mortgage; patience is essential. SO: Have you seen any appreciation on your property since you purchased? SN: Yes, we have. We bought it for a good price (122K Euro) and invested around 10K Euro in the renovation. After about 2 years of ownership its value has risen to 150K Euros. SO: Would you consider buying more ski properties? SN: Possibly, but then I would have to commit to the legalities of French tax etc. for rental income, as well as finding someone to be a key holder and look after it for me during rental and change over days. SO: Can you give an overview of the current market in your location from an owner’s perspective? SN: Lots of property for sale in our area, and it seems pretty buoyant, especially the smaller apartments. 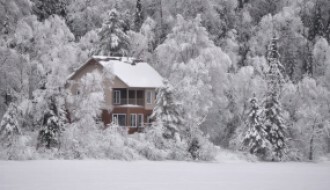 SO: Are you using the property more as a dual season property? SN: Yes we have used it in winter and summer and in-between seasons, this next year I will be working 2 on 2 off, so will be living there certainly for the whole winter season initially and in the summer. SO: Would you consider using a property portal like SnowOnly to list your property or recommend if you were buying a ski property? SN: Yes, and looking at the website search on Chatel, my friend’s Chalet where we used to stay is top of the list! When winter arrives in the mountains, La Chapelle becomes a gateway to the vast Portes du Soleil ski area with some 430 km of marked slopes, 35 km of cross-country ski trails and 85 km of snowshoe trails. Should you want to consider buying a property in Chatel like Steve has done, please click here or look at any other French ski resort. 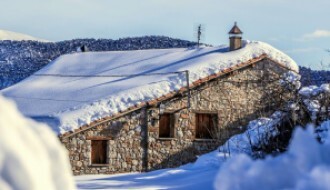 SnowOnly has over 1700 properties listed in France.